A new year, a new outlook. Use mindfulness & breathing techniques to reduce pain and stress. 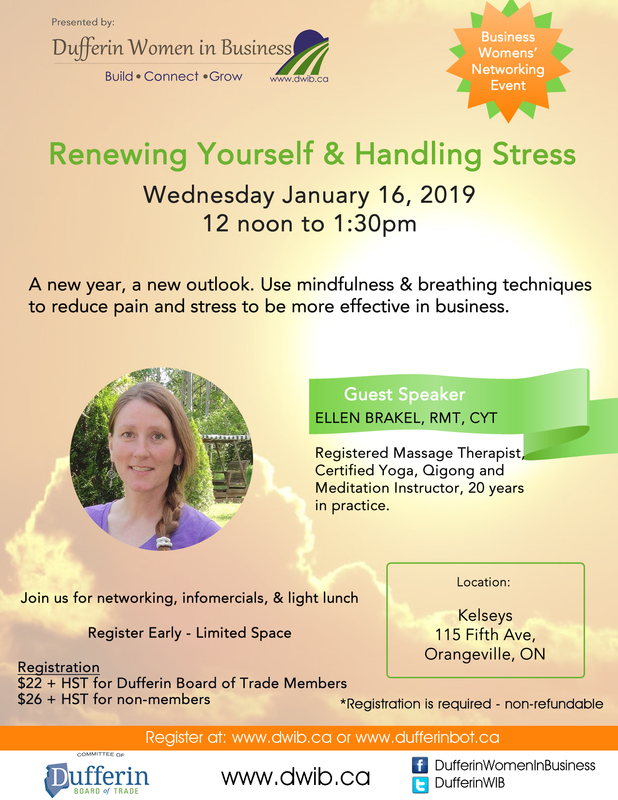 Guest presenter: Ellen Brakel,RMT, Registered Massage Therapist, Cranial Sacral Therapist, & Certified Yoga Instructor. Join the Dufferin Women in Business for lunch, infomercials, and networking. Build, connect and grow.